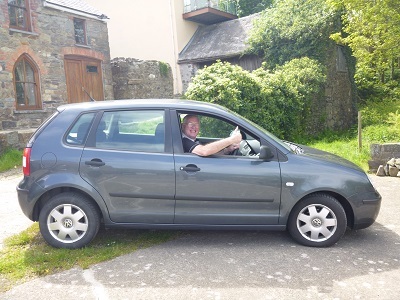 Cars for Carers is run by the Retired and Senior Volunteer Programme and is a community car scheme providing transport for unpaid carers in Pembrokeshire. Who can use the service? Unpaid carers in Pembrokeshire, whatever their age, whether they have a car or not. They can travel by themselves, or with their cared-for person, or other passengers. How much does it cost? The charges are reasonable and cover part of the voluntary driver’s expenses. There is no charge for the person being cared for. Can I use my bus pass? Yes, the carer can show the driver their bus pass* and travel at 50% discount. When does the service run? In principle, 7 days a week, plus evenings, subject to availability of drivers. Where will I be picked up? Wherever you would like to be picked up, but it is usually from the carer's home address. Where can I go? You can travel anywhere within Pembrokeshire. Can you take my wheelchair? Yes - if the wheelchair folds up. We can also accommodate most walking aids, such as zimmers. Unfortunately, we are unable to assist constant wheelchair users. Do I need to book? Yes, 48 hours notice is advisable.